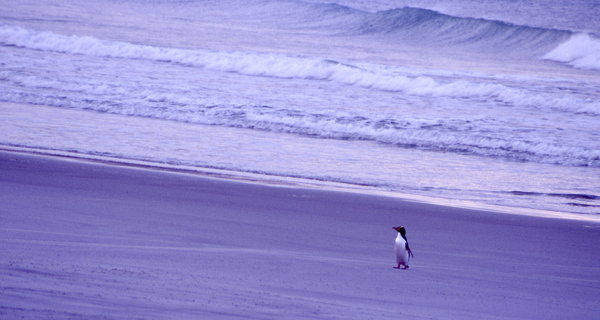 This solitary penguin had just emerged from the ocean and was making its way to dry land where it would roost for the night. These birds live in New Zealand and are the world's rarest penguin. This was an isolated beach on the tip of the Otago Peninsula. I had taken this photograph as the sun was setting - the colour of the light was magical.